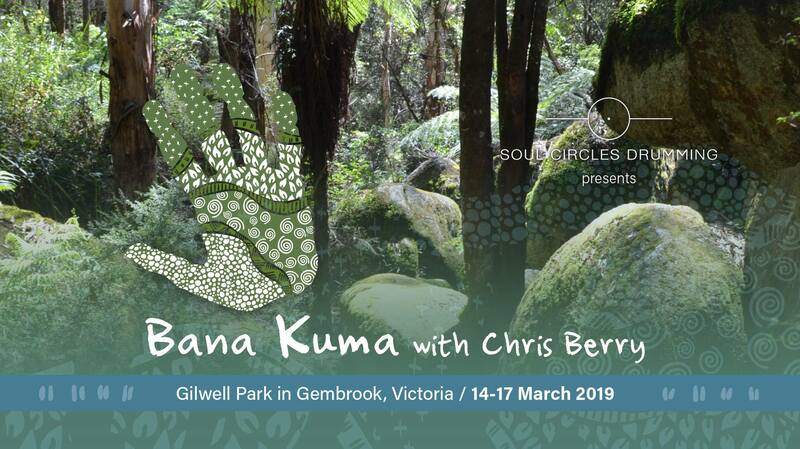 We are so excited to be offering the Melbourne leg of the AUSTRALIAN BANA KUMA RETREAT TOUR WITH CHRIS BERRY, with its intimations of joy and of a journey to be had! This is the first of two transformational intensives, the second of which will be in Byron Bay (further details to come!). This weekend retreat will support you in the manifestation of your divine genius by embodying universal wisdom expressed in music and dance arrangements. This unique experience will be enabled by legendary composer, multi-instrumentalist, dancer and medium Chris Berry, supported by Soul Circles Drumming (Melbourne) and Talkin’ the Drum (Brisbane). Over the course of the retreat, Chris will guide us in African inspired musical arrangements, songs and dances that resonate with forces of the natural world. These will be offered through the example of his Bana Kuma (literally meaning sacred altering, or the process by which thoughts become reality), and culminate in a drum and dance ceremony intended to empower the personal intentions of all who contribute their energy. No previous drumming or dancing experience is necessary. •	All meals provided by Mother Tree Creations (Thursday night dinner – Sunday lunch as well as snacks). Day passes are available, as well as the full program without accommodation if you are local and choose not to stay with us. For these and other options as well as any further enquiries please contact us via djulz@soulcirclesdrumming.com or 0427478221. To secure your booking immediately, direct deposit your exchange to the account below including your name in the description. Alternatively, transfer your contribution through Paypal via the Friends and Family link to the email address above. Please follow this through with an email so that we may begin this journey together from its earliest stages! PAYMENT PLANS are available, and require a $100 non-refundable deposit. All payment plans must be complete by March 7th, 2019. Please get in touch if this option suits you best. We so look forward to sharing this joyful journey with you! In subsequent years his journey expanded from music-making into mediumship, under the guidance of Shona wisdom keepers and spirit mediums. He then embarked upon a journey to share the great potential of musical creation with communities worldwide, using story-telling, melodic instrumentalism, song, drumming and movement to activate a phenomenon known as N’jinji (literally a channel that opens between the physical and spirit realms). This is the high-vibrational sensation that musicians sense when everything is ‘in the pocket,’ and when time and space seem to lose their hold. The state of mind this invokes creates the ultimate condition for healing and ancestral communion. For more information about Chris Berry’s Bana Kuma, please visit www.chrisberrymusic.org. ©Copyright 2018 Chris Berry Music . All Rights Reserved .